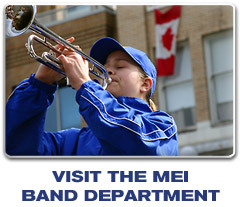 We are the music department for the MEI Secondary School, or Mennonite Educational Institute Secondary School, which is BC's largest independent school in Abbotsford, BC, Canada, and is now three schools strong, including an Elementary, Middle and Secondary campus. MEI Performing Arts comes out of a strong tradition of creativity through this discipline, which continues to develop through the years. 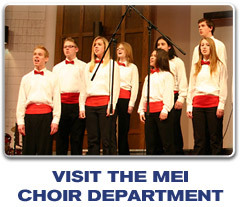 We believe music is a vital element of a students' education at MEI and consider it a gift from God. You are welcome to learn more about our school by visiting www.meischools.com or check out the Choir and Band pages for information about what our performance ensembles are working on.